Mercy! I am pooped!! It has been a busy, fun, crazy week! Next week is spring break!!! Can a teacher get an AMEN?!! Tonight was Open House at my school (and yes it's in the spring and growing up yes, I remember having it in the fall) anyway, we have it during this time every year and we roll with it. I had a very good turn out. It's always a pleasure to see parents come and be involved in their child's education. It really melts my heart. 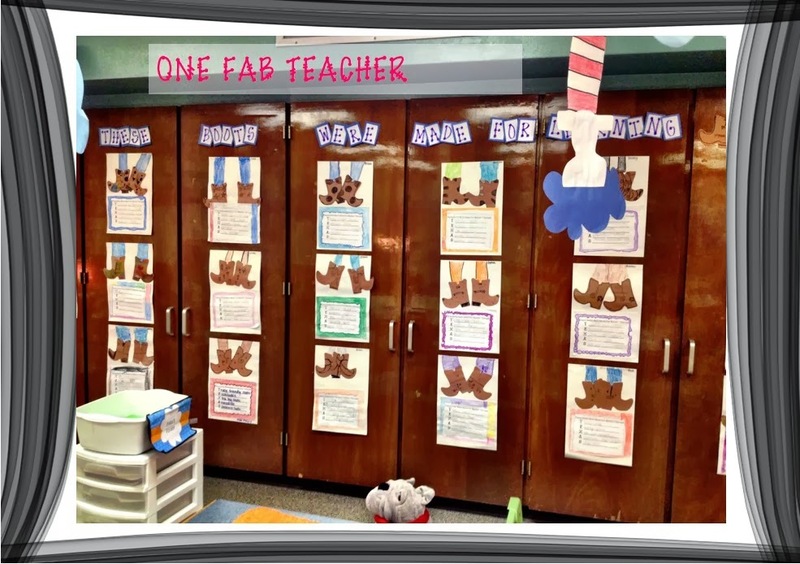 I told my sweet Firsties that this was their chance to show off our room and all their fabulous work. I told them I wasn't going to explain anything to parents, because they were the star not me. = ) They were so eager to show off their awesomeness. Well I took a few photos of what I did for Open House. On Monday we celebrated Dr. Seuss and his birthday (which was March 2). I simply LOVE Dr. Seuss books and my Firsties do to. Dr. Seuss was a true believer in people believing in themselves and being happy with who they are. I often talk to my kiddos about how important it is to be happy with who they are and not trying to be someone else. I found this awesome idea and I knew I had to do it. So each of my kiddos wrote why they were who they were. 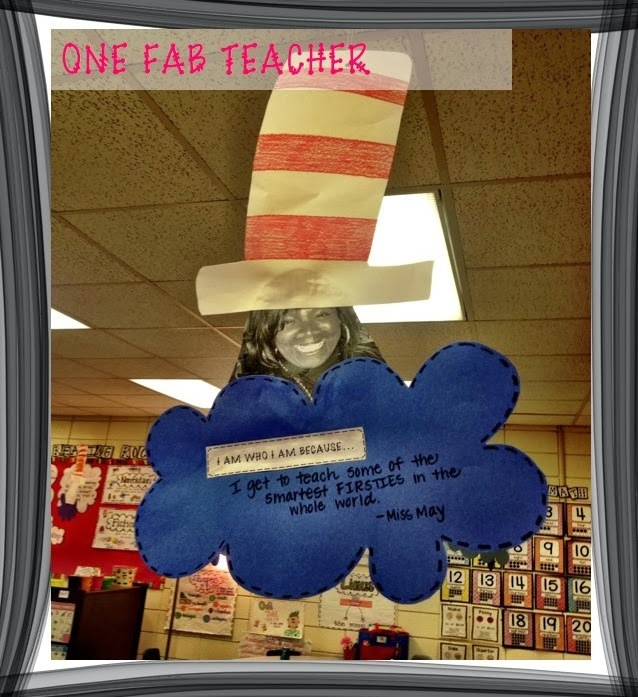 Here's my example, "I am who I am because I get to teach some of the smartest Firsties in the whole world." This was a huge success. 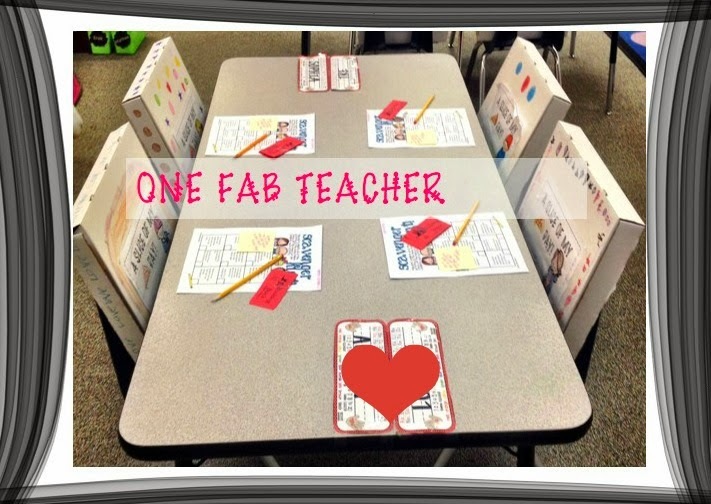 It built confidence, made them feel good, and it made our classroom even cuter. They were a hit tonight. So I brought this idea to my team and they all said, "YES!" 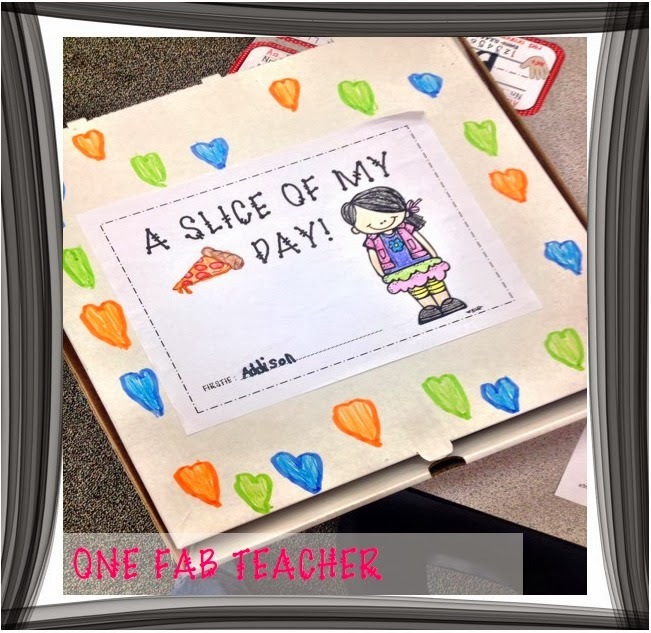 Each Firstie received a medium size pizza box and inside we put lots of great work. One of my team mates thought of this awesome slogan. A Slice of My Day! Super Cute! Another hit tonight. This is another display I put up. 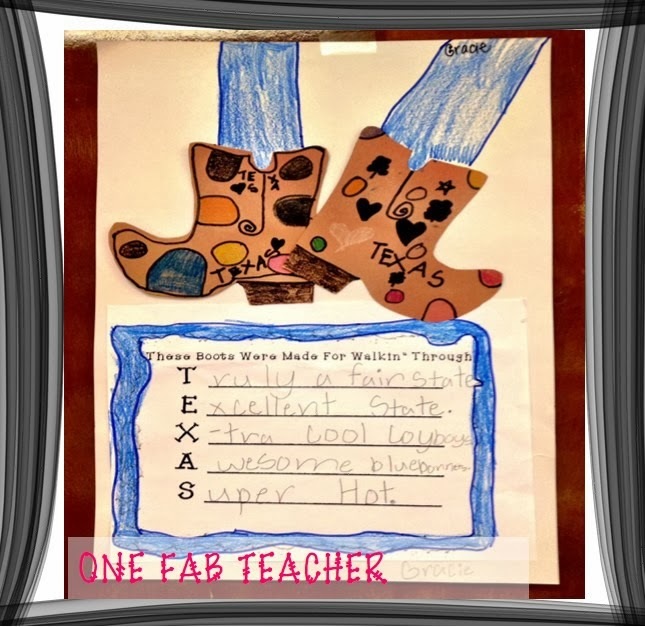 All week we've been learning about Texas and we did the cutest boot activity. The title says, "These Boots Were Made For Learning. " My last photo for tonight. I'm on team delirious right now. This is how I had each table tonight. It was a big success! Spring break I'm so ready for you. Have a blessed evening love bugs. Thanks so much Kira! I would love to help you. I'm just an email away. 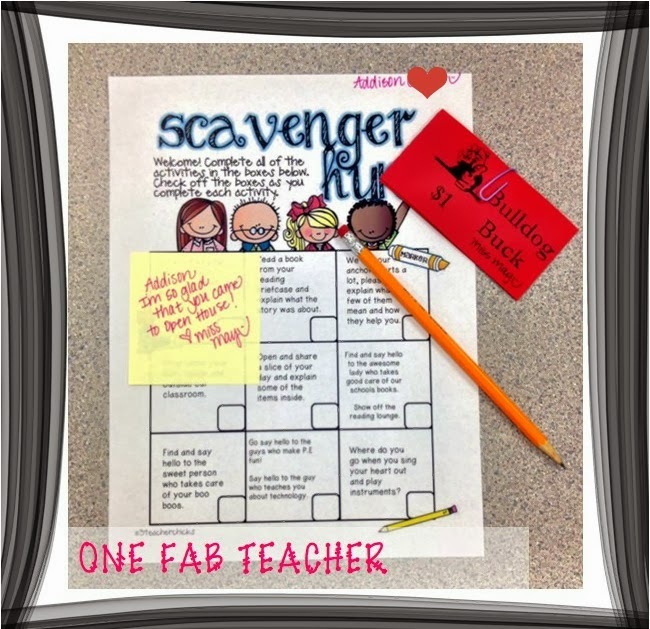 You always have the cutest/kid friendly activities for firsties. I miss you on Instagram. :-( I will follow your blog. Hope you're having a fantabulous summer.